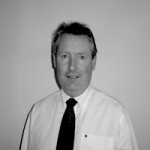 Michael specialises in sales, key account management and sales leadership. He also provides sales operational consultancy, executive coaching and mentoring. He has 20+ years of sales and senior management experience. This includes 15 years of dealing at up to board level with blue-chip FMCG key accounts. He possesses extensive knowledge and experience of setting sales strategy and operational design to ensure maximum sales efficiency and effectiveness. He understands the pressures on organisations to consistently deliver exceptional results in today’s highly competitive business climate.